Earth's polar regions are warming faster than the rest of the planet. One reason is that energy is carried to the poles by large weather systems. 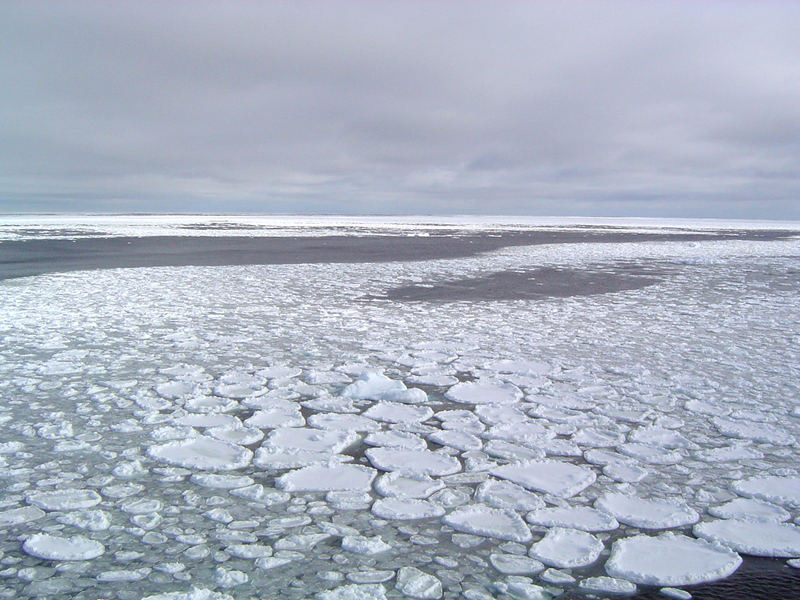 Arctic sea ice melts in Summer and then refreezes in Winter. 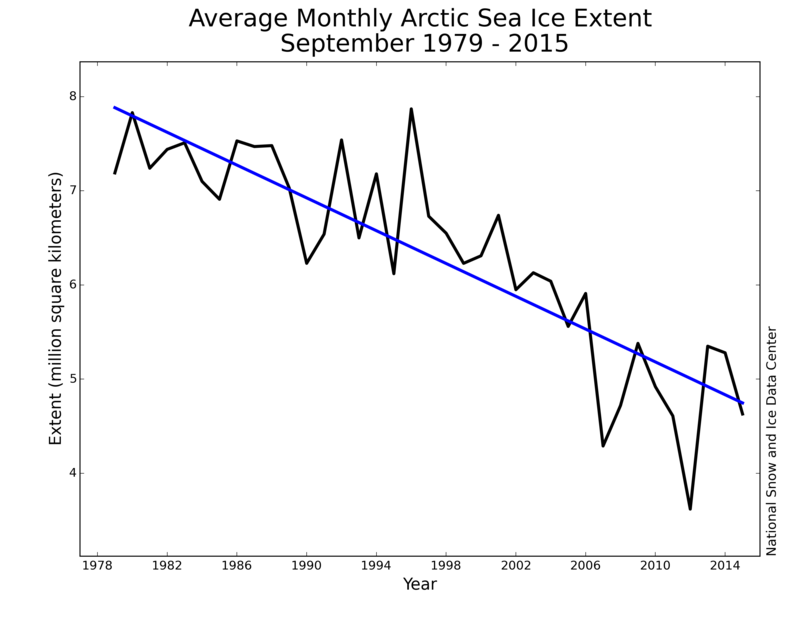 It is reducing over time - the graph comes from the US National Snow and Ice Data Center. The Antarctic is a continent covered by ice, unlike the ocean in the Arctic. The sea ice surrounding Antarctica melts almost to the coast each summer. 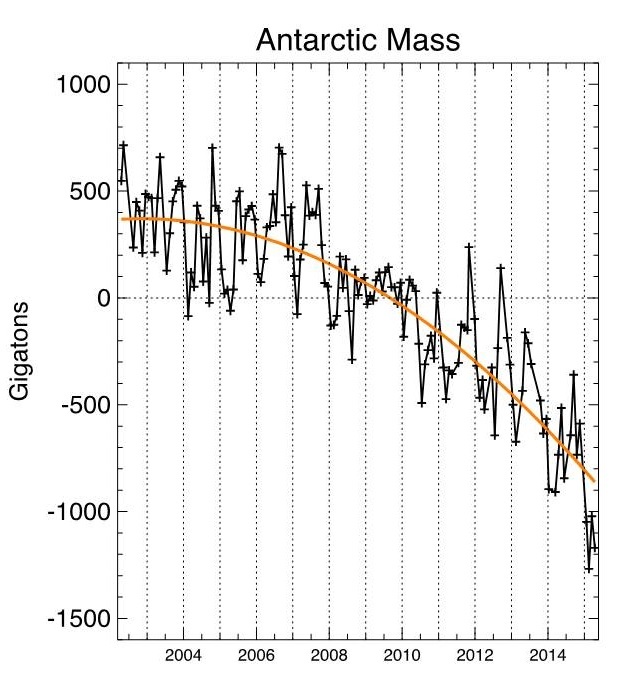 Ice shelves around Antarctica are also affected by global warming. You can explore the Earth's melting ice using NASA's Global Ice Viewer.